When your club joins Sportsmen’s Alliance, they become part of a national grassroots network developed to defend and advance your outdoor heritage. Memberships feature a wide variety of benefits and puts your organization into a leadership role in protecting hunting, fishing and trapping for future generations. 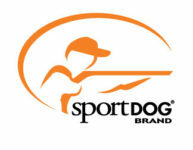 To see clubs in your area that are members of Sportsmen’s Alliance, click on your state below!